ContractorSelling.com will provide a full-day of education for all of their members including the Pure Motive Pricing Seminar, afternoon Service Contractor Sales TownHall, The Guerrilla Sales Talk, along with complete video access of all sessions. ContractorSelling.com is also offering a special discount of 20% using the code EGIA20 for a total of $396 (regularly $495) if you sign up before August 4. 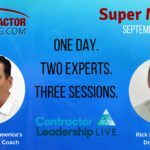 For additional information or to register to attend Contractor Leadership LIVE, visit: http://contractorleadershiplive.com. 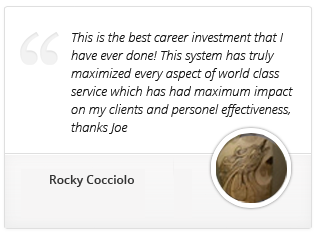 At ContractorSelling.com, we are dedicated to helping service contractors reach their full potential through live training, online coaching and revolutionary software. We know profit and success are hard to achieve in this business. That’s why we’re committed to helping service professionals create high value through the science of communication to increase revenue, customer satisfaction and grow their business. With over 15 years of powerful content for service contractors, we help you to turn any situation into a win for your team. Founded in 2006 and based in Los Angeles, ContractorSelling.com is also the parent company of Total Immersion Service Sales Summit and Jobi field service software.